One of the best luxuries of the modern world is being able to come home on a sweltering day to the AC on full blast. Those first few minutes of cool air can be pure bliss—but noisy operation can make that good feeling short-lived come bedtime. Does air conditioning always have to come at the expense of a quiet night’s rest? If you have a ductless AC system from Mitsubishi Electric, then not necessarily! Zoned Comfort Solutions™ from Mitsubishi Electric are designed with Whisper Quiet technology, which allows indoor mechanical units to operate at volumes as low as 19 decibels—quieter than a human whisper and most refrigerators, which hum at around 40 decibels. Outdoor units are quieter as well, emitting noise at about 58 decibels—about the volume of background music at a restaurant—which is further muffled when running behind closed doors. Compare that to conventional AC systems, which can range from 50 to 60 decibels indoors—and even louder outdoors. Ductless systems from Mitsubishi Electric can run so quietly because their noisiest components are installed inside an insulated compressor compartment with sound dampeners. And unlike conventional systems, which are designed to spread cooled air through noisy fans and ductwork, ductless AC systems don’t require either, as they’re designed to deliver air directly to the room they’re installed in. Additionally, ductless AC systems maintain temperatures by ramping power up and down via Inverter technology, which is much quieter than the banging and clanging produced by conventional AC power cycles. Only a certified Mitsubishi Electric Diamond Contractor™ is permitted to install a whisper quiet ductless AC system. 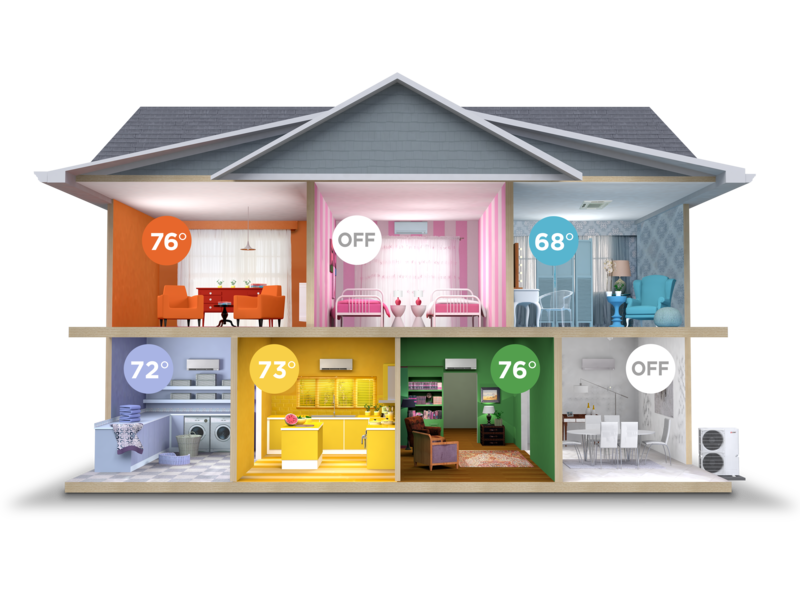 If you’re intrigued by the revolutionary air conditioning system described above, be sure to get in touch with Chesterfield Electric & HVAC, the leading Diamond Contractors in the Crosswicks, NJ, area. Call (609) 534-3143 to request your free estimate, or visit their website for more information.